Keep your audio plugins up to date (beta). Is there a better alternative to PluginUpdate? Is PluginUpdate really the best app in Music category? Will PluginUpdate work good on macOS 10.13.4? 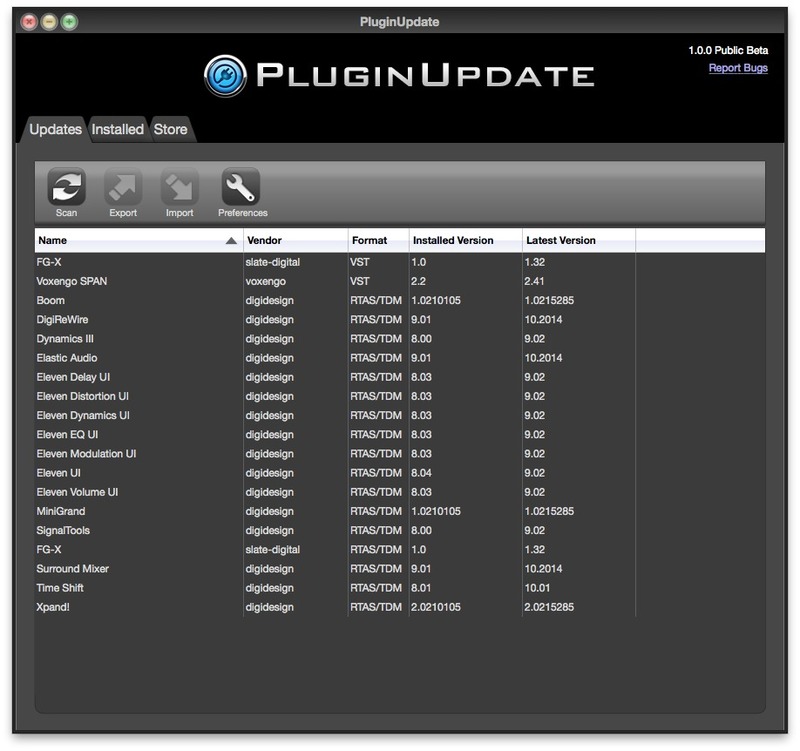 PluginUpdate keeps your VST, AU, AAX, RTAS, and TDM audio plugins up to date. Plugin scanner is now faster at parsing nested subfolders. PluginUpdate needs a review. Be the first to review this app and get the discussion started! PluginUpdate needs a rating. Be the first to rate this app and get the discussion started!